Over the weekend NeedlePaint attended the TNNA Winter Show in Phoenix. This tradeshow is one of the largest events for needlepoint stores each year. I was lucky enough to be across from River Silks, silk ribbon for needlepoint and embroidery. The ladies there were quite busy, but as the afternoon hours extended and the traffic drew down, we got to chatting. They gave me a piece of canvas and some silk. Once I started playing with the silk ribbon, I loved it! It really is easy to use, and the coverage looks great. Quickly I came up with a fun idea to work on during the slower times. 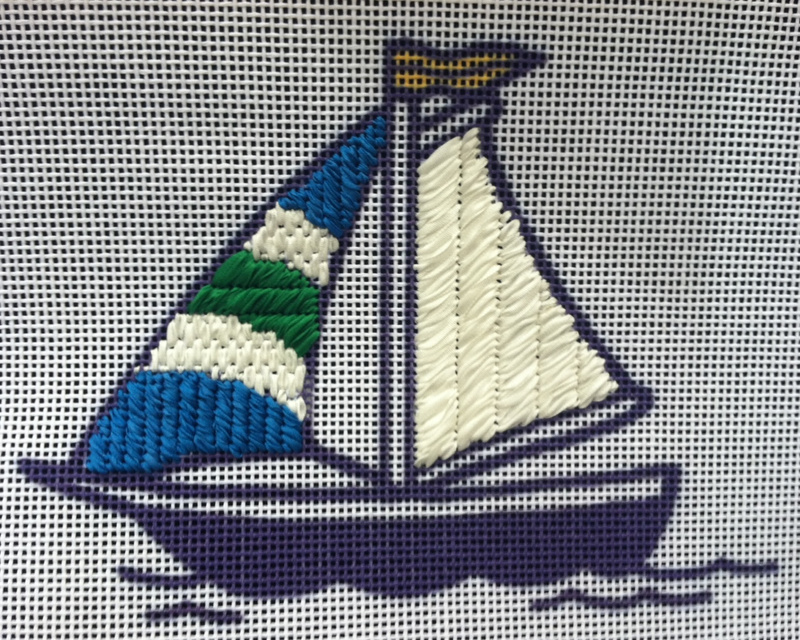 There was a sailboat custom needlepoint canvas on display, which I took down, and decided to make silk sails. 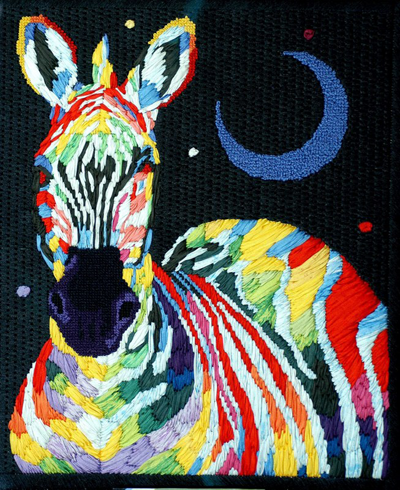 Just to do the creative stitchers that have used River Silk some justice, I’m going to include some amazing pictures of needlepoint that has been done using silk. 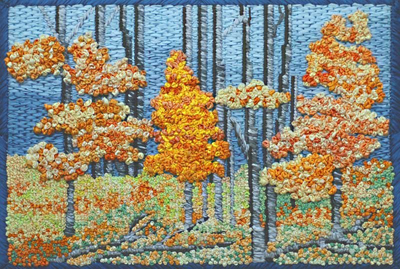 These and many more River Silks needlepoint kits can be ordered through your local needlepoint retailer or through NeedlePaint.com! Also, if you want to have your own custom needlepoint kits matched with silk from River Silks, we can do that, too! 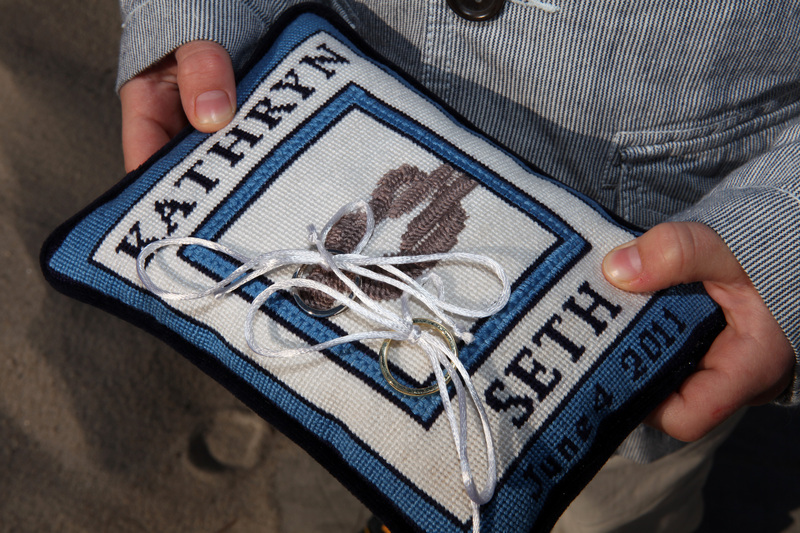 We just created a personalized needlepoint shop for wedding ring bearer pillows needlepoint kits. These ring bearer pillow designs allow crafters to adjust names and colors and even add their own designs to make that special day just a little more special. If you are new to needlepoint, or very experienced, you will find making a ring bearer pillow to be a treat. The small size and easy to follow designs mean that you can finish your project in less than a month! If you are not crafty, don’t worry, we also have stitchers here who can have your pillow ready in as little as six weeks. Personalized needlepoint ring bearer canvases start at only $49 and finished needlepoint pillows start at $160. Don’t miss your chance to make an unforgettable wedding gift, that not only will be used during the wedding, but also will be cherished in the newlyweds home for a lifetime.